The fascinating story of the caches of royal mummies, told this month in AE, is but a part of the long and surprisingly dramatic tale of Egypt’s dead monarchs. In earliest times, only the king could aspire to an afterlife. He might choose to share his eternity with selected members of his family and entourage, but they could only participate by special kingly decree. As periods of time passed, sometimes bringing change and occasional decline to Egypt, wealthy commoners, and finally ordinary Egyptians, began to aspire to an eternity of their own under the beneficent rulership of Osiris, God of the Dead. Eventually, what principally marked royal from commoner was the quality and location of the interment. Shaft graves, pyramids, rock cut tombs and ingenious architects: all failed to protect the rich burials of Egypt’s royals. All were desecrated, even the most famous and least damaged of all, that of Tutankhamun. By the 21st Dynasty, many of the royals buried in the Valley of the Kings on the west bank opposite ancient Thebes had been taken from their original coffins, searched and looted, and their tombs robbed. Uncertain times in Egypt meant that the bodies of the dead were moved from location to location in search of the secure resting place that was their last wish. Sometimes hastily rewrapped, placed in coffins made for another, and roughly stacked in a tomb made for yet another person, the afterlife experienced by the kings and queens of Egypt bore no relationship to their aspirations. Faces of Pharaohs is a detailed and atmospheric photographic record of the mortal remains of some of Egypt’s greatest royals. The book re-unites some of them with their original coffins, giving detailed measurements and descriptions. It is more than a catalogue, however, since equally detailed descriptions of what has been learned from studying the mummies, along with extremely useful plans and maps, the historical background and a description of mummification techniques are also included. The book is prefaced by a chronology and listing of the kings from the 17th Dynasty to the 21st, identifying those whose mummies have survived. Natural mummification occurs throughout the world, and more than one culture has attempted to preserve human remains artificially. The ancient Egyptians were the most skilful embalmers in the world, giving modern day people the opportunity to gaze at the long dead, or, as one TV series has it, to "Meet the Ancestors". There are few who would disagree with Robert Partridge that it is a humbling experience. 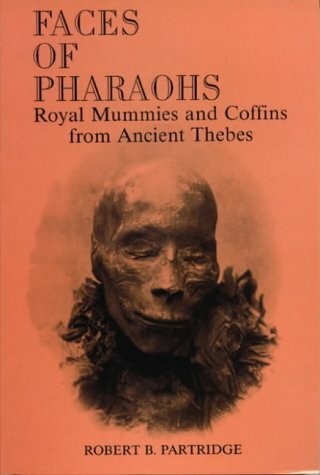 Faces of Pharaoh: Royal Mummies and Coffins from Ancient Thebes by Robert Partridge is published by the Rubicon Press. It is available to AE readers at the special price of £14 (Free P&P). Contact Bob Partridge, 6 Branden Drive, Knutsford, Cheshire, WA16 8EJ. During the Old Kingdom and the great age of Pyramid building, (about 2,600 B.C.) there was little to disturb the authority and god-like enjoyment of life of a king of Egypt. By the time of the New Kingdom, over 1000 years later, while smaller kingdoms waxed and waned in the Middle East and Anatolia, one increased in power above all others to provide a worthy challenge to the Great King of Egypt. That land was Hatti, its people the Hittites. Egypt’s long relationship with Hatti-land spanned the extremes of war and diplomacy. 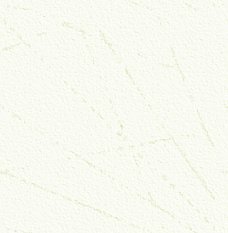 Documents covering periods of centuries have left us detailed accounts of relationships between the monarchs of the two empires (for both were early empire builders and often in conflict as a result), the wars they fought and the diplomatic negotiations and wranglings that occurred after the conflict was over. The story of the Hittites and the Egyptians includes some of the most charismatic names of early times: Amenhotep III, Akhenaten, Sety I, Ramesses II, the Great, and on the Hittite side, Suppiluliuma, Hattusili, Muwatalli. This is history at its most exciting – and bloody. There are tales of murdered princes and feuds, exiled queens, battles and dynastic marriages. For students of Egypt, there is a great deal to contrast with the Egyptian ideals of order, chaos and stability in society. However, it may be that the Egyptian royal house had similar scandals to overcome as the Hittite rulers and was simply better at maintaining the semblance of adherence to order. This book will appeal to anyone with an interest in Egypt’s international relations during the New Kingdom. In it will be found the Hittite side to the well-known tale of the Egyptian queen – probably Ankhesenamun, daughter of Akhenaten and wife of Tutankhamun - who sent a request to the king of the Hittites for a husband after the death of her own. The Hittite king was Suppiluliuma. "As Suppiluliuma prepared for his final onslaught on Carchemish, he received word that a messenger had arrived from Egypt, with an urgent letter from the Egyptian queen. With some surprise, he listened as the letter was read to him. It began with a simple statement. ‘My husband is dead.’ Then followed an extraordinary request. Surprise turned quickly to amazement as the Hittite king realized the full implications of what the queen was asking of him. ‘Such a thing has never happened to me in my whole life!’ he exclaimed. Could the queen be trusted? Was she attempting to deceive them? A decision was made to send the royal chamberlain Hattusa-ziti to Egypt. The king’s instructions were clear: ‘Go and bring me back the truth!’" Those who don’t know what happened next, and wish to, will find the rest of the fantastic tale in these pages. The famous story of the Battle of Kadesh, the earliest detailed account of a battle in ancient times, is dealt with in equally exciting terms, and described as "The Showdown with Egypt". We need this type of book to show us that real history, true history, is more exciting than any fictional account. Professor K. Kitchen’s book on Ramesses II in the 1970’s was in similar vein. 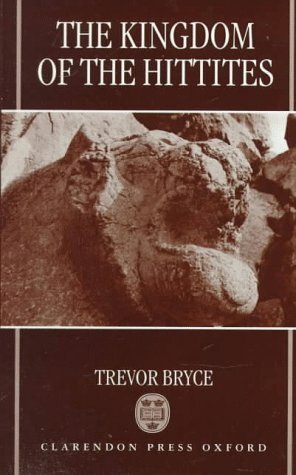 Bryce’s book on the Hittites is written in a fast-paced and occasionally gripping style that is not suggested by the frankly bland and dull cover. It is a pleasure to have a work that draws the strands of Hittite research together in a way to make it of interest to the non-specialist. The Kingdom of the Hittites, by Trevor Bryce, is published by Clarendon Paperbacks for the Oxford University Press at £19.99. ISBN 0-19-924010. Technology can be somewhat daunting, and, not being a person who indulges in playing games on my computer, the strange slot for the insertion of CDs has remained, until now, virtually unused. All that has recently changed: I have been fully aware of the potential for the uses of CD-ROMs for the storage and accessing of information, but although there have been a number of interesting CDs available which have provided information about Egypt, the prices were initially prohibitive and the contents sometimes of dubious value. Egyptian Treasures in Europe is the outcome of a major project to further the accessibility of Egyptian collections in Europe, for scholars, students and the interested public. A series of CD-ROMs is planned each featuring a particular museum’s collection and which will include objects both on display and many never seen before. 10 European museums are included: Amsterdam, Brussels, Dublin, Florence, Hildesheim, Lille, Lisbon, Liverpool, Madrid and Vienna. The series is complied by professional Egyptologists and are easy to use (believe me, if I can operate the system, then ANYONE can!). Each collection will be the subject of a CD-ROM that will feature 1,500 objects. The information will include a colour image of each object, with full background information and translations of any texts. The first volume, which is now available, is a "Highlights" edition featuring 1000 objects selected from each of the 10 participating collections. Objects can be selected by a number of methods that include by collection, by materials used, and by dynasties. Thus it is possible to pull up a list of any 18th Dynasty gold items in any or all of the museums. The first CD-ROM is great fun to use, the images are superb (some can even be rotated) and the information excellent. For study and for finding objects of particular interest, the system is superb and should prove invaluable to any student. Having visited many of the collections and been unable to get a guidebook in English, this information is also most welcome and perhaps long overdue. I have no doubt that CD-ROMS will be used even more in the future…and if this is the way forward, then I can’t wait for the future publications this way and for the planned editions in this series in particular. If you have a computer and have an interest in Egypt, then DO get hold of the first CD of the "Highlights". The second CD is due in June. The price, in Euro is 45. Incl. VAT, which I think is around £25 or $45 or so, but very comparable with the average price of books and even better value with the amount if information available. CCER/U-CCER Production B.V. Utrecht University, Heidelberglann 2. NL 3584 CS UTRECHT.